It’s finally here! The jacket I won from I Don’t Like Mondays a few weeks ago finally arrived.. at the customs office. I went there this morning and had to learn that there really is no such thing as a free lunch. Apparently, even a prize has its price. Still. 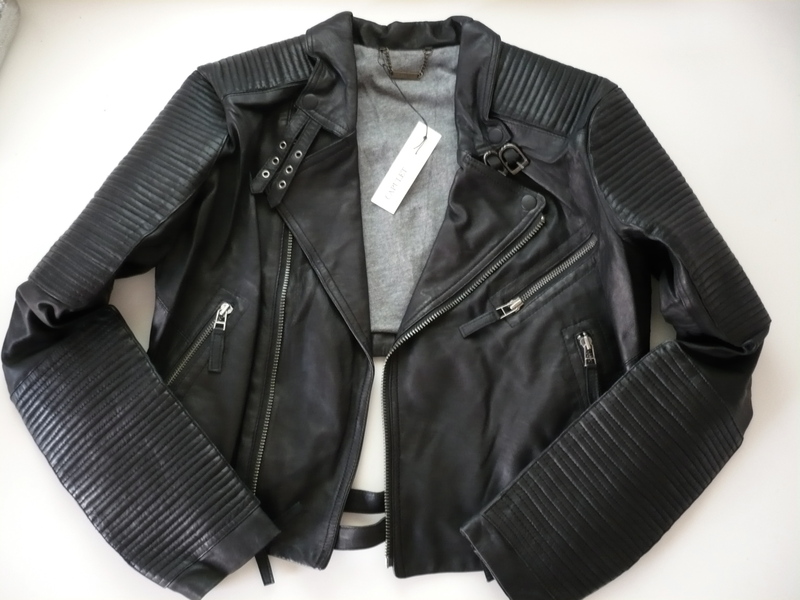 I got an amazing leather jacket for 17,5% of its actual price, so I can’t really complaint. I’ll post a photo of me in it as soon as I can. Another recent addition to my closet is this wonderful clutch from Muji. Technically, it’s a pencil case, but where is the fun in that? I’m in need of a new wallet, mine is slowly falling apart. Inside the purse: Glasses from ASOS, L’Oréal 4D Mascara, Vaseline, wallet from the flea market.